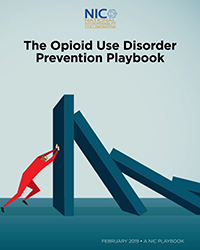 The National Interoperability Collaborative (NIC) is proud to announce a unique new publication that shines a spotlight on the critical role that prevention should play in addressing our nation’s opioid epidemic, including strategies – or “plays” – that communities can replicate or adapt for real-time use. Check out the playbook. Explore the interactive map. Share your plays. Stewards of Change Institute, along with its National Interoperability Collaborative (NIC) initiative, is proud to collaborate with 2-1-1 San Diego on the Community Information Exchange Summit. NIC brings together human and social services, public health, public education, public safety, emergency medical services, health IT, and other sectors that impact health and well-being. Our membership options enable organizations and individuals to share their knowledge and gain the benefits of NIC’s community of networks. NIC provides a secure virtual hub where participants can share their knowledge and discuss their projects and ideas. NIC’s clearinghouse offers guidance documents, research, news, videos, and other information-sharing and interoperability-related materials. This is a one-stop destination to learn about symposia, webinars, and projects sponsored by NIC and its partners. Our InterOptimability Training and Certification Curriculum (ITCC) program is designed to prepare individuals and organizations for the 21st Century workplace.